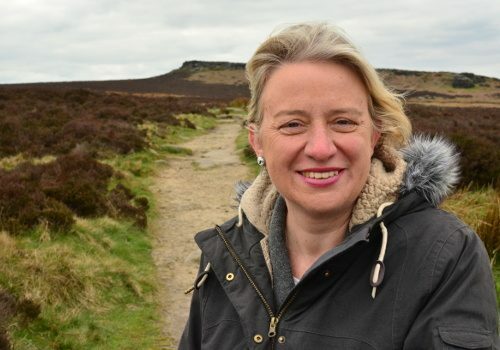 Green Party members have unanimously passed a motion proposed by Sheffield Green Party member and former national leader Natalie Bennett calling for a concerted campaign to bring an end to the production and use of all unnecessary single-use plastics. Green Party members made this motion the top priority for policy debate the conference. Natalie said: “Plastic waste that has recently risen up the political agenda. We’ve seen legislation for the plastic bag tax and on banning microbeads in cosmetics, some stores agree to stop using plastic cotton bud sticks, some pubs decide to stop using plastic straws, and Michael Gove at Tory Party conference taking a tentative step towards introducing a deposit scheme for plastic bottles, as the Green Party was calling for during the recent general election. “But these are piecemeal actions, which while important, fail to move sufficiently quickly or comprehensively to address the way in which we’re choking our planet, having produced more than eight billion tons of plastic since the 1950s. We’re making our oceans an ever-thicker plastic soup, contaminating our drinking water and food, and threatening our own and ecosystems’ health with this pernicious material. “Just 15% of plastic is recycled, but recycling, while useful as an intermediate step, isn’t the answer. We need to stop making and using all unnecessary single-use plastics. “We’re now producing more than 300 million tonnes a year, roughly equal to the weight of human beings on this Earth. We’ve created a plastic planet and we can’t afford to stuff even more of this dangerous material into it.